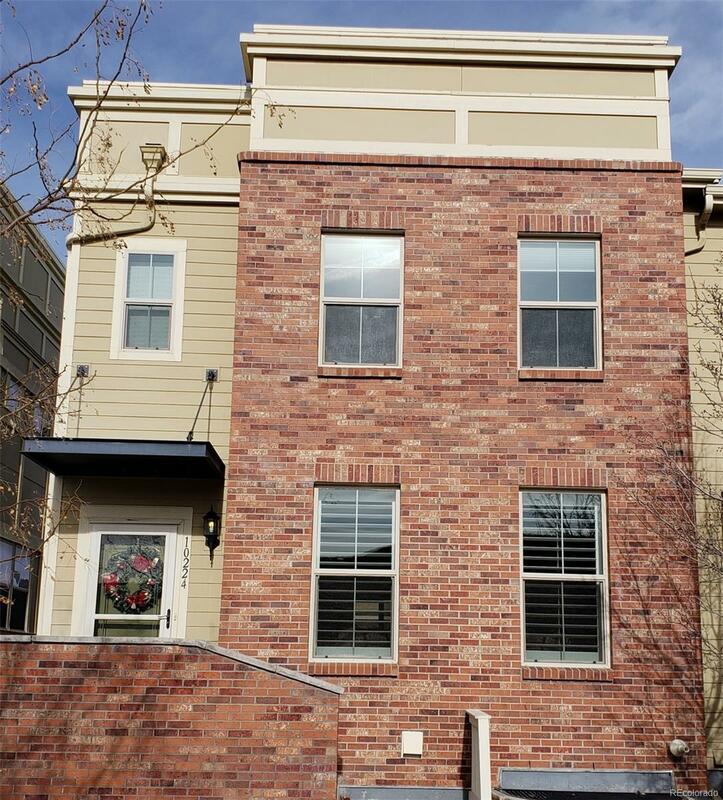 Pride of ownership shows throughout this beautiful 3 bedroom/3 bath townhome in the highly desirable Ridgegate community in Lone Tree. From the foyer to the covered deck, this townhome has something for everyone. Main floor boasts a living room with a three sided fireplace and crown molding, dining room with crown molding, kitchen with a beautiful oversized granite slab island and all new KitchenAid appliances. The luxurious master suite has a five piece master bath with his/ her closets and another master bedroom for your guests with a private bath along with a conveniently located laundry upstairs. Finished lower level offers family room/extra bedroom with 2 extra closets. Living room and Family room have built in speakers and a charming covered deck that creates an amazing outdoor living space for entertaining.